Our landscape division can handle all of your projects from big to small. We offer site planning, design, sod installation, Garden bed installation, pathways, seating areas, pergola's, ponds, creeks and much more. If you can dream it we can install it. "We also do custom fences"
All of your stone paver and natural stone needs are covered. 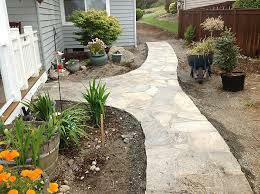 Our team of masons can install your dream diveway, patio, & pathways. We also do cultured and natural stone installation to dress up the exterior or interior of your house. If you have a project in mind that involves stone we're your guys. Whether you need weekly yard maintenance or just the garden beds weeded, and trees pruined. we are your go to guys. with expert knowledge and affordable prices our team is the right choice. we guarantee it. fully insured and WCB covered. Follow us on twitter, linkedin, instagram and google plus for design ideas, upcoming deals, tips, and promotional codes.